It’s Januari again, so time to look back at what I did last year! I made a post in the beginning of the year with my plans. I think I did all right. I managed the first portion of the list at least ;). The rest is still on the schedule, but will have to wait a bit longer. And I also made more than 10 modern pieces this year which weren’t included in the planning. Let’s start with the historical projects. I started off the year by re-furbashing my old elliptic hoop into a round one. I’ve not worn it yet, as I don’t really have anything to wear over it, but if I ever get around to 1850’s costuming I’ll have a hoop! After the hoop, I finished my 1860’s ballgown bodice. And made a new petticoat for my new 1860’s hoop! Then it was time to start on the new project, Edwardian! A whole new period, so first up was the underwear. Almost done with the underwear now, the final piece was the petticoat! So, 6 items of clothing later, it’s time for the outerwear! These are probably my favourite items of the year. I also did quite a lot of ‘modern’ sewing this year. And a dress of the same type. Then I made a corset. My first modern one, first underbust and first time drafting the pattern. And I made 2 jersey dresses from fabric with vintage inspired prints. Finally, I made 2 modern tartan skirts which I haven’t posted about. So… on to next year! I already have plans and the first new project has been started. I’ll do a post with plans soon! My review of 2014, a bit late, because I finished a couple of projects at the end of december which I wanted to blog about first. Looking back, I think I achieved quite a lot. 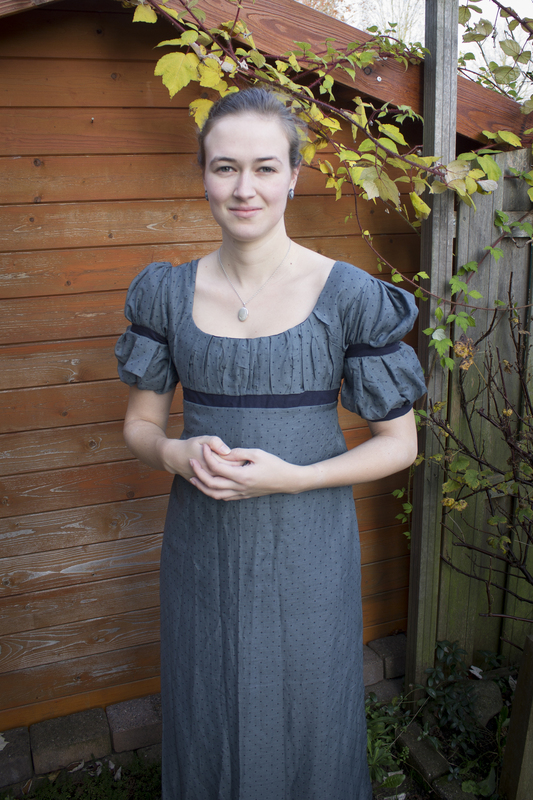 For me, 2013 was the year in which I truly started historical sewing. 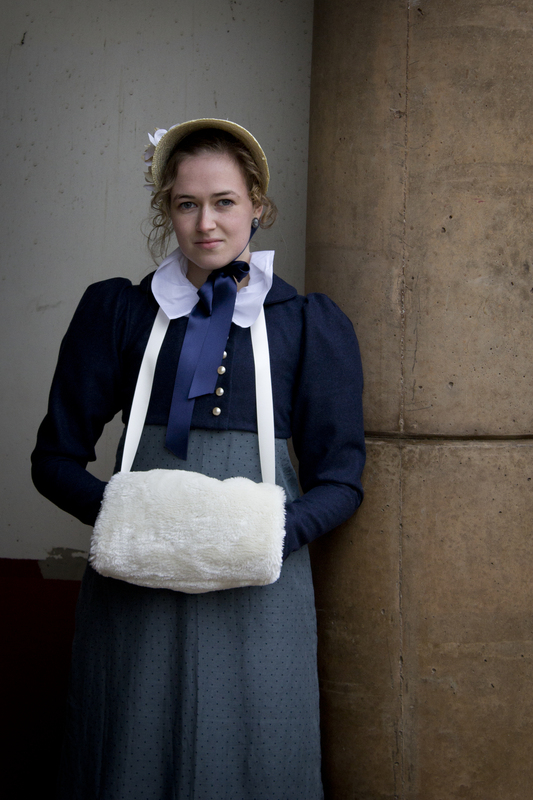 I made my first set of underthings, for 1860’s, and finished my first regency dress. In 2014, I continued and learnt a lot. 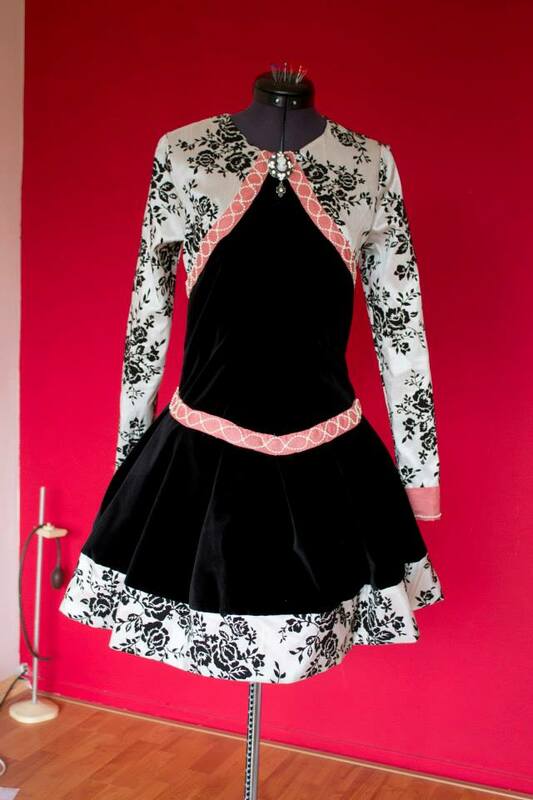 The year started with finishing my 1860’s black velvet dress. After this, I could make my new dress. I started this dress in the summer and it took ages to finish, but it is done and I really like how it turned out. The end of the year was very productive for me. I made a full set of items for regency outer-wear. A spencer, chemise, bonnet and muff.